You’re wasting time listening to the standard advice about learning math. You can’t continue with “random acts of learning” as you study simple math, calculus and statistics formulas – at least not for long. The truth is that learning math and remembering numbers can be incredibly simple. You just need to know how. 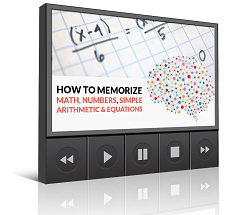 In How To Memorize Numbers, Equations And Simple Arithmetic, Anthony Metivier shows you everything you need to develop the right skills, the right mindset and the right dedicated memorization strategy for memorizing any number or equation. Plus you’ll learn how to find the right tempo for studying math to match your background and personal interests. The key to learning and memorizing math is to follow a model. You won’t succeed without one. And your best bet is to supplement that math learning model with strong memory skills. How to visualize any number so that it literally pops out in your mind whenever you look for it. How to use actors, other public figures and famous pieces of artwork to help you memorize math concepts, numbers and formulas. Simple strategies for practicing recall so that you are relaxed during exams and can easily recall everything you’ve studied no matter how difficult. If you’re sick of not knowing your credit card and banking numbers, this course provides the solution. 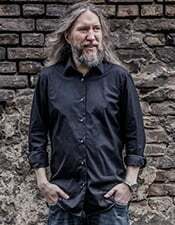 Likewise, if you’d like to be able commit multiple equations of any difficulty to memory, you’re in the right place for the most innovative techniques for remembering numbers on the planet. How to Memorize Names and Faces delivered to you in a compact video course with accompanying Ebook that walks you through everything in detail. 31 meticulously crafted videos guide you through making the toughest information you’ll ever encounter melt like butter so it can integrate with your memory forever. You also get worksheets, complete Ebook version of the course and audio MP3s. Plus, you’ll explore an exclusive session with leading mathematician Robert Ahdoot who walks you through his process of using the Magnetic Memory Method to memorize 9 complex formulas in 45 minutes with perfect recall over 7 days later! You don’t want to miss this part of the course for the world!